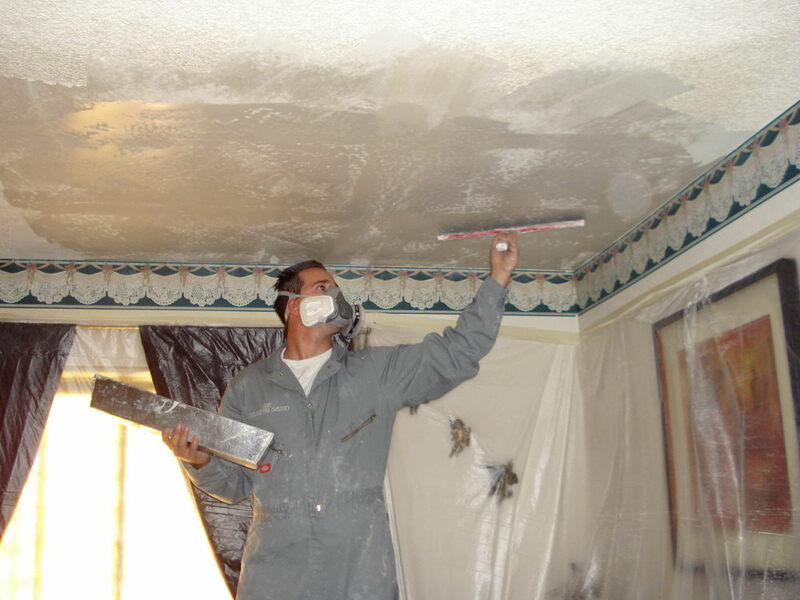 Popcorn ceiling has become a popular home design in Fort Worth sometime between the late 70’s and early 80’s. Apart from being outdated, it was only recently when homeowners started to discover the many disadvantages it has. 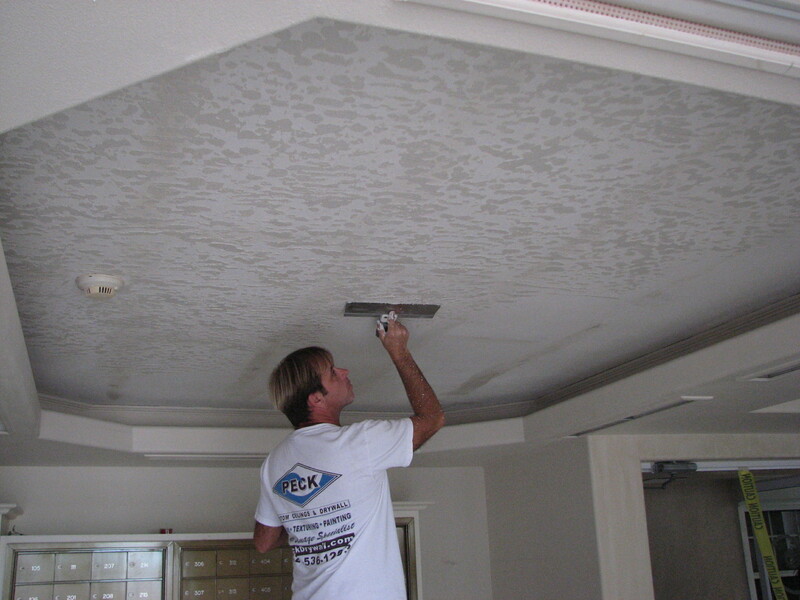 Popcorn ceiling removal in Fort Worth Tx is extremely difficult not simply because of its texture, but also because it may pose health risks if not handled by professionals. As long as this material stays undisturbed, you and your family are safe from the possibility of adverse health effects. Once you decide to have it re-textured, however, fibers will inevitably find their way into the air in your home, and eventually through your nose. 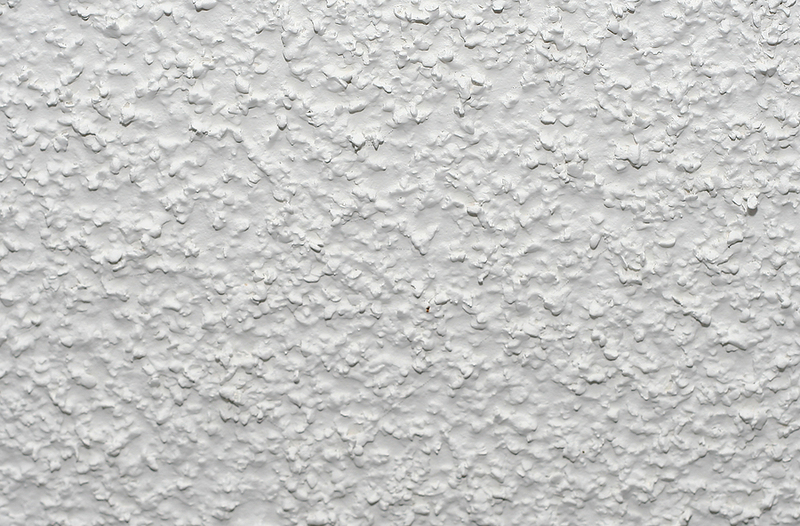 Several other disadvantages that surrounds popcorn ceiling and walls. Keeping it clean and dust free is one. Dust collects in the crevices, adding dimness to an already dimmed home regardless of the paint color in your Fort Worth home. Because of the uneven surface, it would require more effort in cleaning. Not only will a step ladder be necessary when it comes to handling the ceiling, you need to be careful enough not to disturb harmful fibers, if applicable. Painting and re-texturing them is another problem. Because a roller and extension handle won’t suffice, going for DIY painting jobs might consume too much of your precious time. There are several different textured paints depending the kind of textured walls you want. If you’re in Fort Worth and need your walls re-textured or patched give us a call. With all these reasons, removing popcorn ceiling has become a priority in most Fort Worth households. Because NorTex has taken all risks into consideration, their team came up with solutions to keep the integrity of your home and everyone in it. Projects will start with proper prepping. To prevent harmful fibers from digging through furniture and floor tiles, everything shall be covered with clean and fresh plastic. The project shall then begin, and the team shall transform your popcorn ceiling and wall to any texture you desire. We also service Arlington, Keller, Southlake and surrounding areas.